It’s January, and as the new year unfolds, resolutions are aplenty. But how can you overcome the failure that too often accompanies your well-intentioned beginnings? 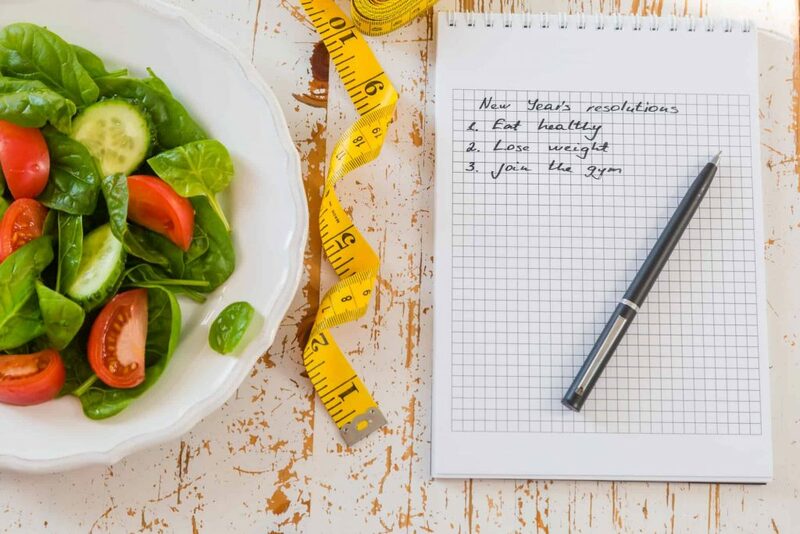 Here are six steps to accomplishing your health-related resolutions this year. Start with a plan. A plan + discipline = results. It all begins with your plan. Give yourself a deadline. This makes it a goal. Small changes one at a time are often more manageable and realistic. Re-set your mindset. It’s not a diet. It’s not a weight loss strategy. Make your wellness resolution a lifestyle change you can live out from now on. Know your “why.” Create a vision for your resolution, one that’s meaningful to you. An example might be, “I want to be healthy so I can enjoy life with my family.” Post photos that remind you of your vision on your refrigerator or somewhere that is prominent in your kitchen. Name your biggest stress. Ask yourself (and if you are a Christ-follower, ask God to help you discover) what is distracting you from what you want to accomplish, then overcome it so you can move forward with your goals. Are you worried about mending or needing to sever a broken relationship? Getting your household or schedule out of the crazy cycle? When you identify what is holding you back, it becomes possible to overcome it. Ask for help. We aren’t meant to live this life alone. Look for someone who already is where you want to be. It may be a healthcare provider or a health coach, or simply someone you know personally. Additionally, find an accountability partner. Give your accountability partner permission to ask you hard questions and check on your progress. Don’t be upset with them when they do. Celebrate your successes. Write down each success—large and small. This helps build your faith on your tough days. If you fail at your plan for the day, begin again the next day. Don’t give up! At Julian Healthcare, we’re here to help you succeed at your wellness-related resolutions. Call us at 765-530-8008. Susan’s inspiration for this article came from a message by Carmen Cash, Colourz Salon Owner, mom, wife, and motivational speaker.